These days, Amazon® is one of our go-to resources for, well, everything. It’s easy to get lost in the millions of pages of product, but one of our favorite rabbit holes to explore, however, is the one that leads to endless skincare gadgets. With the rise of at-home dermarolling — i.e., using tiny needles to create microchannels for products to absorb more effectively — we were particularly curious to see what we could unearth on Amazon. 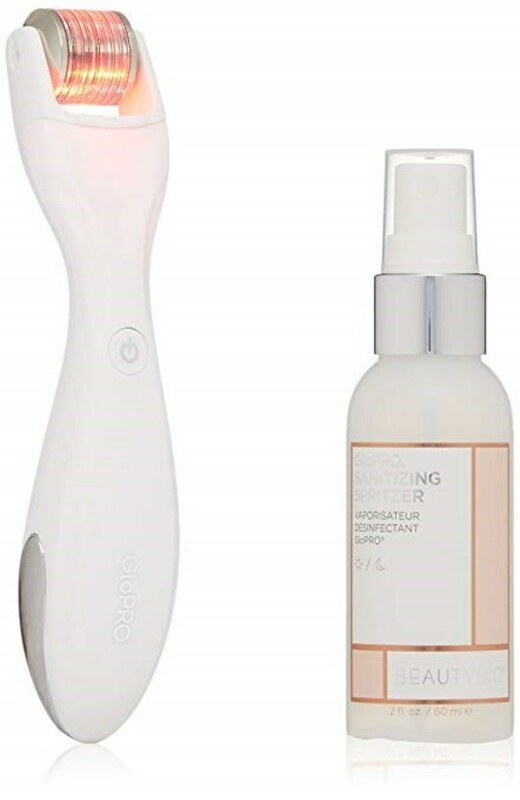 Needless to say, we were not disappointed, and discovered some top-rated picks for at-home dermarolling and microneedling tools. Read on to get rolling. 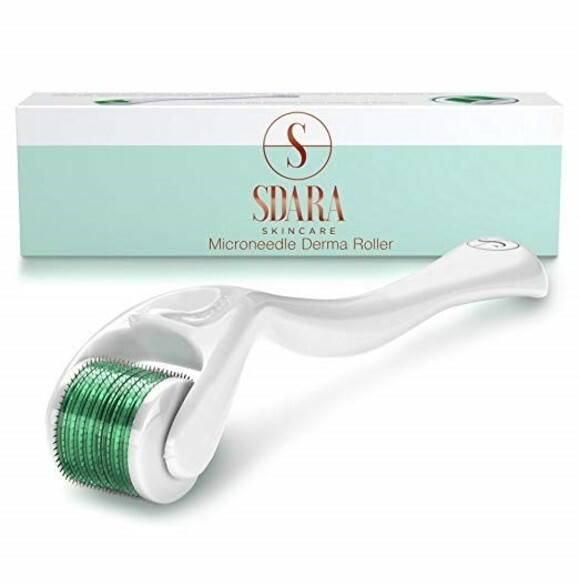 Even with 750 reviews on Amazon, the Sdara Skincare® Derma Roller ($20) tool maintains an impressive 4.5 star rating. Many users report significantly softer-looking scars over time after consistent biweekly use. Not to mention, the mint green packaging adds a chic design element. The aptly-named Micro 540 Needles Derma Roller ($13) features an impressive 540 (tiny!) needles. While it’s a simple, no-frills tool, it is one of the top-selling dermarolling devices on Amazon. 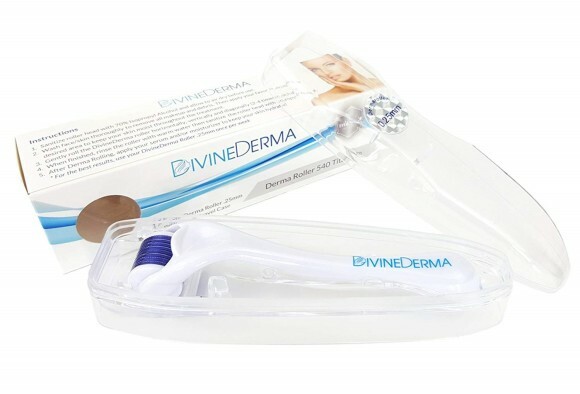 If you have sensitive skin and are afraid to cause irritation, try the DivineDerma® DermaRoller ($17). Many reviewers have commented on the tool’s relative gentleness compared to other dermarolling tools. Additionally, the brand advertises using the device three times per week (as opposed to a max of twice per week with other tools). Though most people think of dermarollers as a facial tool, they can also be used on almost any area of the body that needs some extra attention. 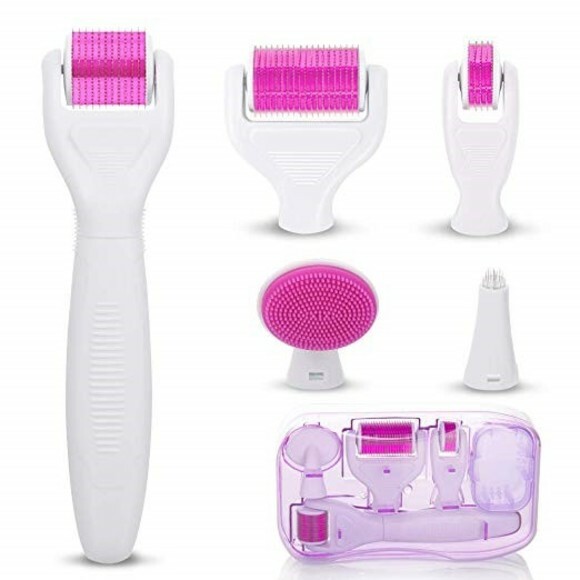 Case in point: This 6-in-1 Derma Roller Kit ($28) includes four differently-sized attachments for face, body, and hard-to-reach areas such as the side of the nose. Additionally, the set includes a facial scrubbing attachment plus a disinfecting bowl (make sure you wash your tool regularly!). The BeautyBio® GloPRO Microneedling Tool ($199) is one of the most prominent microneedling tools on the market. Yes, its pale pink hue is pretty, but the device also contains a red LED light, which has been proven to induce collagen production. The device is both battery-operated and rechargeable, making it ultra travel-friendly to boot. Plus, you’ll get a bottle of disinfectant to ensure that your GloPRO stays clean.